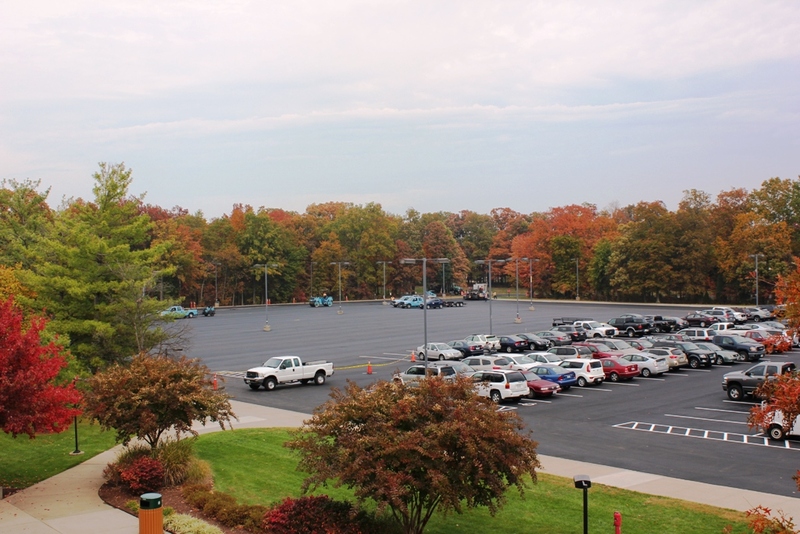 Ruston Paving was contracted by Lockheed Martin to overlay a large existing parking lot on their Manassas, Virginia campus. Upon visiting the site, Ruston Paving noticed that a parking lot adjacent to the worksite had been closed off. Ruston Paving inquired about the parking lot and learned that it had been severely damaged by a mobile crane utilized during a recent, and unrelated, roof restoration project. 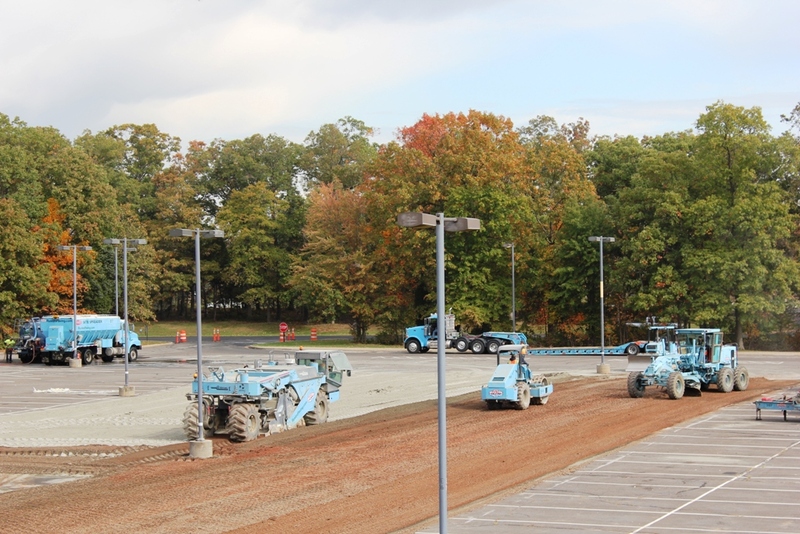 After further investigation, it was apparent that the native soils, existing stone base, and asphalt paving section all were not designed to support the heavy point loads inflicted by the crane. 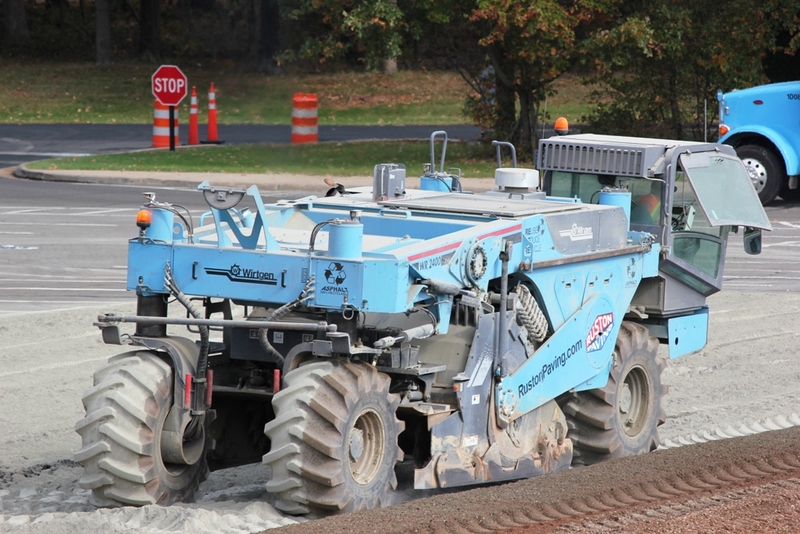 After meeting with the Lockheed Martin purchasing team, as well as their engineers, Ruston Paving suggested Full Depth Reclamation (FDR) with Portland cement stabilization as a cost effective and environmentally-conscious solution. Ultimately the FDR option was selected, and the client was able to take advantage of a 20-30% cost savings, all while significantly shortening their construction schedule. 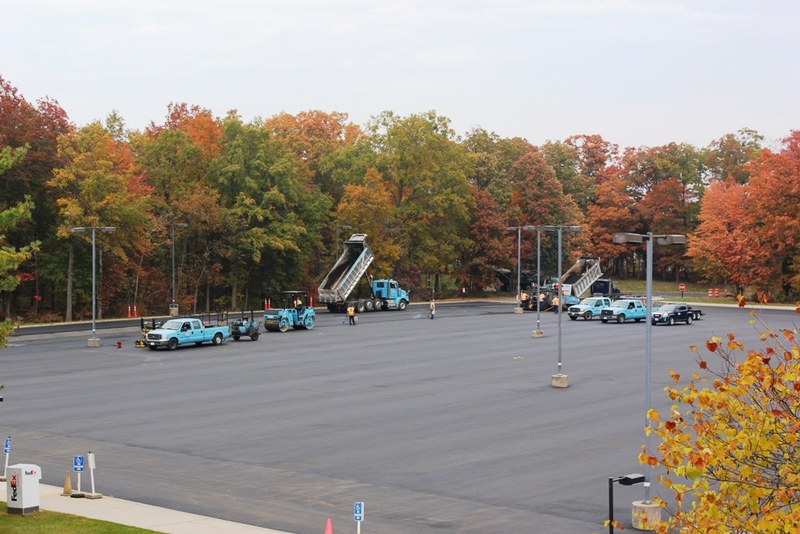 At the conclusion of the project, Ruston Paving received numerous compliments from Lockheed Martin regarding the professionalism of our crews, the performance of their work, and their dedication to quality. 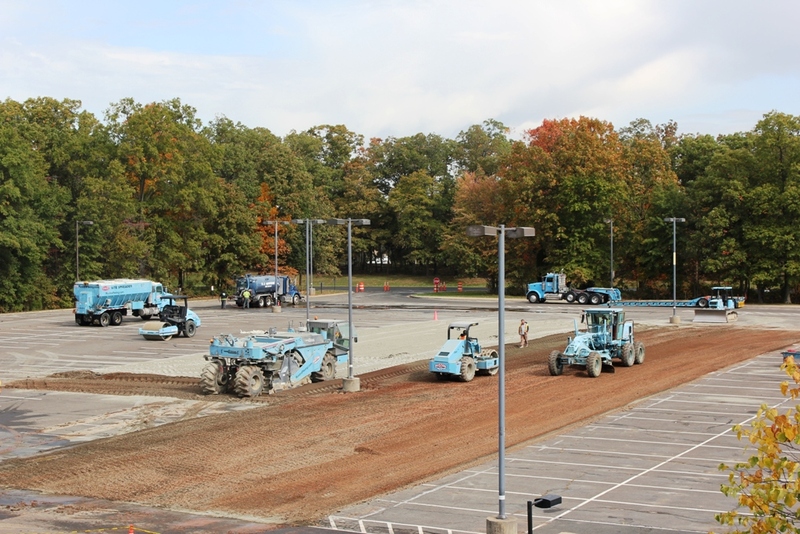 As Lockheed Martin continues to make significant renovations to their existing facilities and parking lots, we’re sure that they will always keep FDR in mind as a viable and effective solution.